Hi friends! 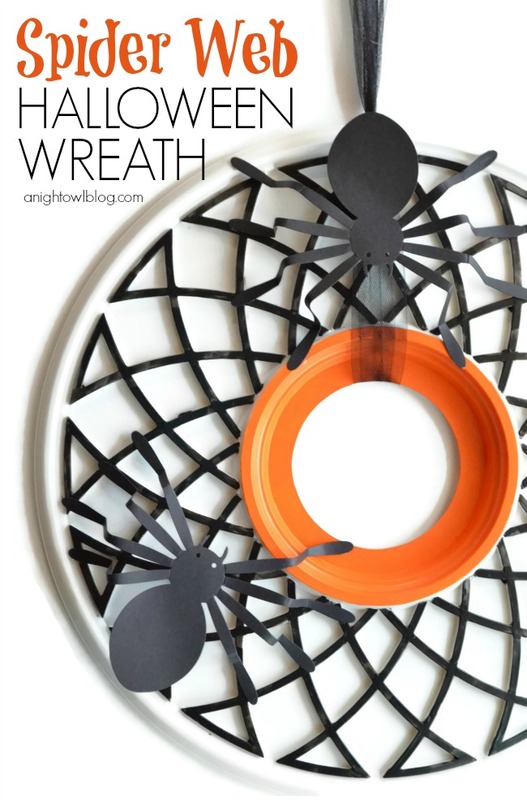 Today I’m sharing a fun and easy Spooky Spider Web Halloween Wreath! 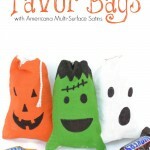 I’m also participating in a Halloween Hop with some of my creative and crafty friends! 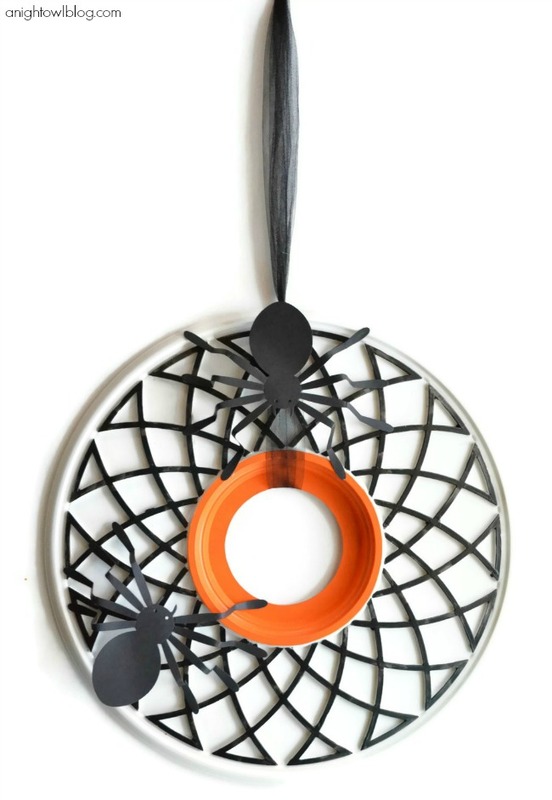 From Halloween party treats to Halloween favors to Halloween home décor, we’ve got you covered! 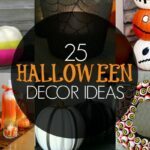 Scroll down to see all of the creative and creepy ideas! So back to this wreath, can you believe it was made from a ceiling medallion? That’s right! I’ve seen so many gorgeous ceiling medallion wreaths out there so recently when I was in a local home improvement store I found this one on CLEARANCE. 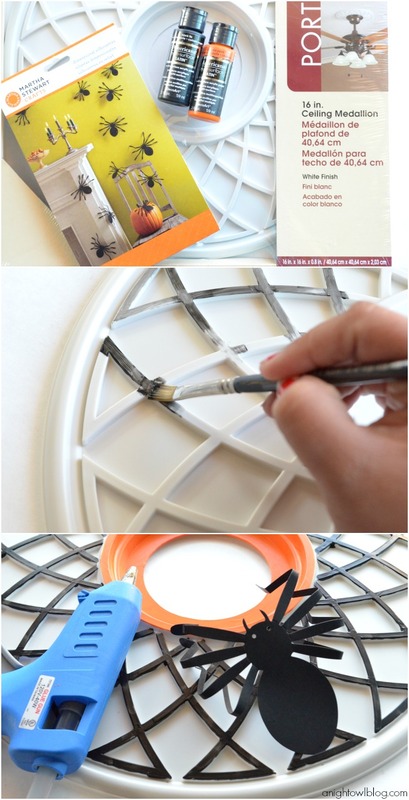 I had always wanted to do a medallion wreath, and now I had no excuse! I picked it up for just $5. It sat in my craft room for a few weeks while I contemplated just what type of wreath I would make with it. Then it dawned on me as I have started working on Halloween craft projects (did you SEE the cute Halloween Favor Bags I shared yesterday?) that the medallion kind of looked like a fancy spider web. PERFECT! 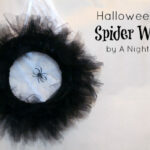 This little lovely would become this year’s Halloween wreath! I simply painted the raised “web” areas of the medallion with Americana Multi-Surface Satins in black tie. Multi-Surface Satins are perfect for this project as not all paint will adhere well to plastic. I waited for the first coat to dry and painted one additional coat for adequate coverage. I painted the inner circle of the medallion in with Americana Multi-Surface Satins in pumpkin patch. 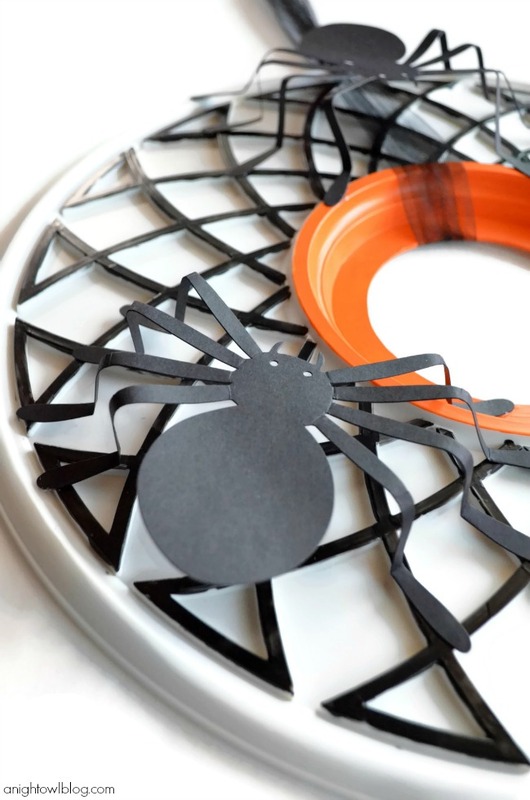 I then simply glued Martha Stewart Crafts Dimensional Silhouette Spiders onto the medallion with hot glue. I tied a length of tulle through the medallion for hanging and voila! 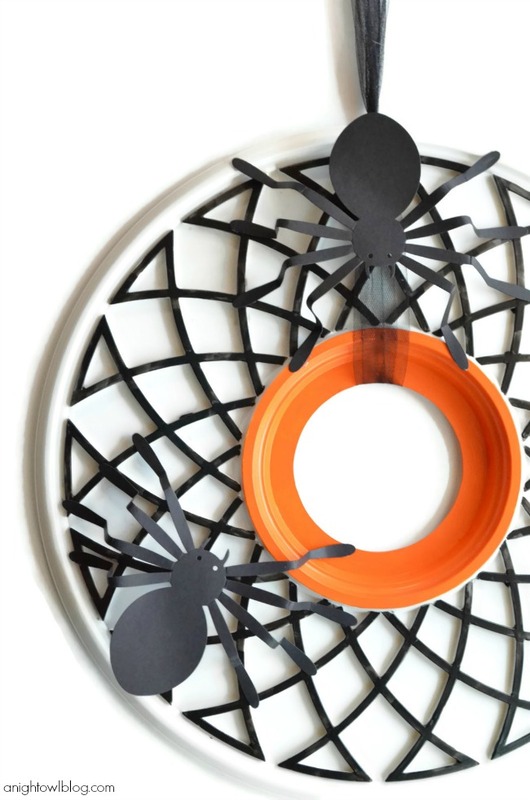 A perfectly cute, I mean Spooky Spider Web Halloween Wreath! Ok, enough about my project, please HOP over and visit my friends! Be sure to hop around and enjoy! 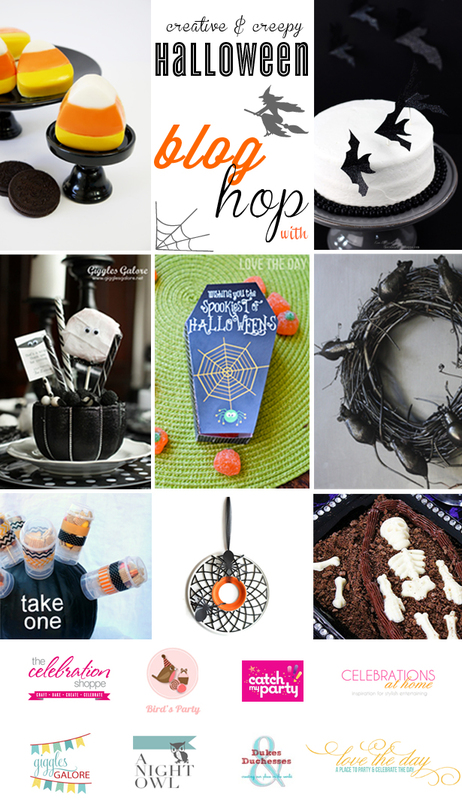 So many fun ideas to be had…spooky on my friends! This is so creative, Kimberly. What a cool project! I am totally obsessed with this! Such a creative idea. So fun hoping with you! I can’t believe this was made from a ceiling medallion!!! You are so creative!! I love it!! Pinning it!! 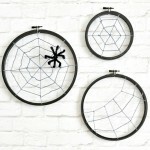 It would be fun to put this on the ceiling with a string attached to the spider hanging down. It would definitely scare people!! Mawhawhaw!! I would have never guessed from glancing at this that you made it with a ceiling medallion, so creative! Darling idea Kimberly! And so clever using a ceiling medallion! This is awesome! such a creative use of this! Love it! How creative and very cute!